Today in our poetry news round up, we have the winner of this years Latner Writer’s Trust Prize, a poet’s bust unveiled in Nepal and a pop-up poetry event taking place in Brooklyn this weekend. 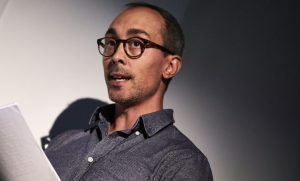 This year’s Latner Writer’s Trust Poetry Prize has been won by Jordan Scott, an English instructor at North Island College (NIC). The prize is awarded to a body of work that has contributed to Canadian poetry, and it is believed will continue to shape it in the future. It carries a prize of $25,000. Scott is the author of four poetry books in total; “Slit”, “Blert”, “Decomp” and “Night & Ox”. He has also produced two poetry collections following a tour of the detention camps at Guantanamo Bay. The prize is awarded by the Writer’s Trust of Canada, which was founded in 1976 by Pierre Berton, Graeme Gibson, David Young, Margaret Attwood and Margaret Laurence, in conjunction with the Latner Family Foundation. It was established in 2014 and is now in its fifth year. Rasul Gamzatov was a prominent Dagestan poet; one of the more well-liked poets within the Soviet era. 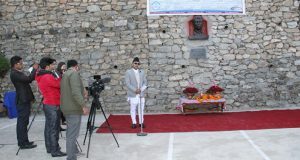 On Sunday, in commemoration of the ninety-fifth anniversary of the poet’s birth, a bust was unveiled at a solemn ceremony in Kathmandu, Nepal. Whilst Nepal might seem to be an unusual choice of place for the piece, the poet was in fact a frequent visitor to the country and the decision to put the bust here was an obvious choice. The exact location – Nagarkot – was also a carefully made decision rather than a random one. This is a site that the poet himself visited frequently. He had a fantastic view of the Himalayas and this was a real inspiration for his poetry. The latter being a prestigious prize named after Hristo Botev – a Bulgarian revolutionary and poet. The Brooklyn Museum will be hosting a pop-up poetry event this weekend in collaboration with Cave Canem Foundation. The event is taking place as part of the Museums first Saturday line up of events. The Cave Canem Foundation was set up to work promoting “the artistic and professional growth of Black poets”. Three of its fellows will be performing readings during the event. 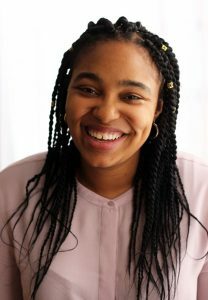 Hafizah Geter is a Brooklyn based poet who was born in Nigeria, she has been published in a number of publications and is currently working on her first collection. Cynthia Manick is also based in Brooklyn and is the author of a collection of poetry entitled “Blue Hallelujahs”. Nicholas Nichols, the final poet has also been published in a number of magazines.